Downloading digital games for the Xbox One is more expensive than buying the discs in some cases, despite their being no physical product to manufacture, no distribution costs and no middle men. Thankfully it appears that Microsoft is well aware of the ridiculousness of the above paragraph is and is working on redressing the balance for gamers who wish to have instant access to new titles. Interjecting into a Reddit thread on Friday, Microsoft's head of Xbox Live Larry Hyrb (aka Major Nelson) said a rethink is "on the agenda" after a user pointed out gamers are being punished for downloading. He also responded to calls for the 'Games for Gold' scheme, currently available to Xbox Live Gold subscribers with an Xbox 360, to make its way for to the Xbox One. Hyrb promised some "great stuff" for the year ahead and beyond, as Reddit users called for digital pre-orders and pre-loads, but failed to confirm any specifics. He said: "We are way aware if this and many of the concerns of the community. We have some great stuff planned for Xbox One this year (and beyond). As soon as we can share some of the goodness… we will." 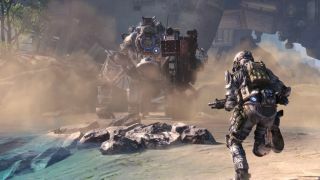 It was also pointed out that gamers who pre-order Titanfall for Xbox One in stores are receiving discounts at some locations, but those offers are not extended to those buying digitally. Perhaps this 'goodness' can include parity for downloaders too. Did you know: Microsoft created over 70 Xbox One hardware prototypes.